Apple had one of its best product launch event today. 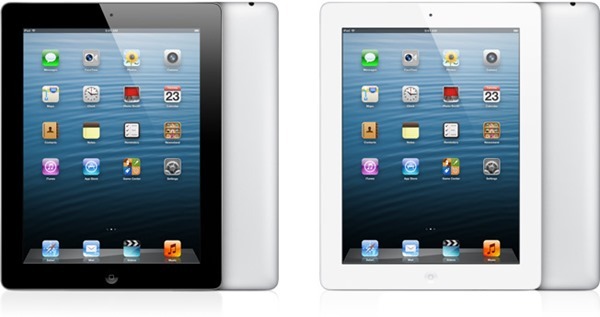 iPad Mini, the longest rumored compact version of iPad, was finally made official. Other than iPad Mini, Tim Cook and his team had lot many other things to unveil including new iMacs. Keep reading to know all the announcements made on Apple’s big day. Apple sold 5 million iPhone 5′s devices during opening weekend – which Apple claims to be the fastest selling phone in history. Tim Cook claims that over 3 million customers pre-ordered new iPod touch and iPod nano models. Apple claimed that over 200 million devices are running iOS 6, that’s just after one month of its launch. Apple has sold 100 million iPads till to date. Over the last year, users have stored over 125 million documents in the company’s “Documents in the Cloud” service. Since its introduction last year, users have sent over 300 billion iMessages. According to Cook, customers send over 28,000 iMessages each second. Since its debut last month, users have shared over 70 million photos through the company’s “Shared Photo Streams” service. Some 35 billion apps have been downloaded from the store. Apple says that it has paid out over $6.5 billion to developers. iPad Mini is finally here to rival Nexus 7 and to steal lovers of Window’s upcoming tabs. Featuring a 7.9-inch display and support for both Wi-Fi and 4G LTE cellular networks, will start at $329. The Wi-Fi version will be available starting November 2nd, while the cellular+WiFi version will debut in mid-November. Consumers can start placing pre-orders for the device on Oct. 26. Running on top of an A5 dual-core chip there would be 5 megapixel iSight camera on the rear of the tablet which can shoot 1080p HD video. The device weighs 0.68 pounds and is 23% thinner than the standard iPad. Add $130 for versions with cellular capability. Apple also announced the re-done enhanced version of iPad, that can be dubbed as iPad4. Apple said that it comes with better A6X processor with quad-core graphics that the company claims provides double the performance of the old A5X chip. This entry was posted in Techmology, Uncategorized and tagged 4th generation, apple, generation, ipad, ipad mini. I just like the helpful information you supply in your articles. I’ll bookmark your blog and check once more right here frequently. I am moderately certain I’ll be informed lots of new stuff right here! Best of luck for the next! Thankyou so much for the compliment ! much appreciated. You are more than welcome to visit any time and your comments are valuable for me. Thanks.